Why People Expect More When You Offer More. Today I want to discuss "expectations" and how as you grow your business, the expectations that others have of you (and most importantly your customers) will actually be dictated by your own personal behaviour as a company. Over the years Carson and I have worked tirelessly on improving the platform, services, and community here within WA. If you have been around Wealthy Affiliate for any length of time, you will confirm the fact that within any given year we roll out out MANY significant updates, this year being one of our busiest yet. This is not unusual for companies to do that care about their customers, but all businesses are not built the same. Some companies focus their efforts on offering value and over delivering, whereas others focus their efforts solely on how they can make the most money possible, irrespective of the quality of their service. When you focus on your service and customer value, as we do here at WA, people have the tendency to expect a lot more out of you. The better you are, the better they expect you to be in the future. That is how great brands are established and how you build long term customers. You certainly don't build that by offering an inferior service to what others in the industry are offering. We strive for perfection. This is very much unachievable (there is no such thing, just close to perfect), but in doing so we put ourselves in a situation where the people here within WA anticipate and expect more out of us. That is a big responsibility and one I would like to discuss in this post through some personal insights. When You Strive For Excellence, People Expect it Out of You. People are conditioned to expect things, when they happen with regularity. Think about various products/services you use in your life, that you love (sometimes without knowing). Let's take your mobile phone for example. These devices are incredible when you think about it, I am personally a passionate Apple user and have been for many years. Apple updates its products with regularity, some of the most technically sophisticated and well-thought-out updates, but they typically go unnoticed by users. This is because the experience gets better, and we as users EXPECT Apple to get better with every iteration of their device, and expect their iOS to do more for us (and do so more seamlessly) with every update. We are fans of the brand and we would certainly despise an inferior device if we tried it, but we expect excellence which is a good thing. It keeps Apple and other companies on their toes and pushing to innovate. At Wealthy Affiliate, the same sort of thing happens. We are constantly developing new technology and we simply roll it out and integrate it the platform here when its ready. Some of these projects take us months or years to develop, and then we release and it just becomes part of the environment. And then people expect more. As funny as it sounds, this is a good feeling. It means that people expect us to be a leader, and that we have become leaders in the space. This what we work hard for; the expectation from our audience that we are going to continue to get better. And we do. We know that we can always improve and push the technology, training and community here at WA far beyond any other company in the industry. That excites us and is hugely motivating. Contrary, When Your Service Lacks the Expectations Are Low. When you produce junk, people view you as a junk producer. If you have ever walked into a pawn shop you know what I am talking about. Although there are some true gems to be found, most of the products are either stolen or products that were literally sold off someone's wrist so they could pay their bills. They are used goods. But that's what you expect. You don't expect some sort of elite quality out of a pawn shop. In the affiliate marketing education space there are lots of "pawn shops". You get what you get, don't expect more out of an e-book or some hyped up and overpriced info product. It is going to deliver at the lowest level. This spans across every marketplace. You don't expect to get a "no name" brand and experience the same level of quality as a company that has made that particular product their entire focus. Or you don't expect a software company notorious for flawed and buggy software to somehow produce something of quality with a future software launch. People naturally set the bar low for companies, products/services, and even companies that have a record of producing products that lack quality. Expectations are low for these, and people don't expect anything from them. They are not industry leaders and they have a difficult time establishing a brand. Why We Encourage People to Look at Competitors. We have never been afraid of competition. Ever. We not only embrace companies try to build businesses, we appreciate anyone creating a good service. In saying this, we are in business and our ultimate goal will always be to offer the best service in the industry and to continue leading the affiliate marketing space in terms of education, community, and the environments required to run an affiliate marketing business. That is our main focus. We look around the industry and we certainly know what is out there, and we have a really good grasp as to what we are offering. The biggest competition that we have ever viewed within the online world is OURSELVES though. We are hyper critical of everything we do, to the point of throwing projects out after months of development because they don't meet our expectations. We also avoid ANY hype, even things that we think we have executed brilliantly and will be met with a lot of excitement. The reason is we are not a hype driven business, we are service focused business. There is no need to exaggerate something that is delivering on every level. In saying this, we know that every single platform or improvement that we launch here is just one iterative step to something that is even better. A Slow Moving Brand. It's How We Like It. There is a natural tendency to feel frustration when you are not growing fast enough, worse yet, when you have dips in your business. This happens with when you are establising a solid brand. Brands where companies are building something of substance. The longest running companies you see and the ones with the best brands aim to grow 10-15% year over year, on a positive year. Some years they may experience 50% growth though, and they have years when they experience negative growth, but through the arc of time they see an upward trend of growth cycles in their business. That is the way we approach business. We are not willing to compromise our brand for instant growth. We are not willing to take a risk to make a lot more money, for the sake of losing repuation with our customers (which are brand is based on). And we certainly are not willing to sell out the people of Wealthy Affiliate to fatten our pocket books. That is how we run our business. Some people would probably say this is the wrong approach and we should be doing things to just "make more money". There is something to be said though about being in this business for 13 years, and being at the top of our game 13 years later. We are more committed than ever, and WA is in the best position than it ever has been in terms of technology, training, our subset of platforms and services, community, support systems and also cost...and we're growing at a faster rate than ever! We haven't raised our prices in 13 years. Let that sink in. In comparison, the average mobile device has doubled during this time. There are companies charging several $1,000 to attend a single conference in this industry, and there are companies charging $10,000+ for their education. Comparatively, that would be a 3 to 30 year membership here at WA! Today I just wanted to share my thoughts and insights on this topic. If you are building and establishing a business and you have an audience that is not expecting 'more' out of you, chances are you are underdelivering (and people will be moving on to another competitors service). Would love to hear your feedback on your expectations of product and services and how you define something as a brand leader. Leave your comments below! I see so many things at WA that I found lacking in other programs. Some of them are integrity, discipline, and empathy. I bet putting your thoughts down on paper (computer) was a release of your spirit in a special message to all of us, or that is what I surmise while reading it. I believe that when people can put such depth and thought provoking points out for public viewing, you open yourself up for whatever is thrown at you. The part I don't see being thrown is doubt, mistrust, and cynicism. I believe that there isn't a soul in this organization that doesn't love both you and Carson on many levels. Sure there may be differing opinions on how this is done this way instead of that way, but the bottom line is, you have built an empire of trust and respect. It is an honor to be working with you, and I thank you for the gifts and blessings I have received in the short time I have been here. Thank you sir! Thank you! You're quite right Kyle, WA community members expect great things from you and Carson, because we've become accustomed to getting great things from you. WA definitely is a brand leader in this industry, because you're right up there in the front line with the most advanced platform and still delivering updates and this new UE recently launched. Well done to you both. While I still consider myself a newbie, I do appreciate this platform and all the hard work you guys put into it. I sometimes wonder if there are dozens of Kyle and Carson clones helping you two. I will never understand how you guys do it. I cannot wait for 2019 to get here and start promoting WA around the world, especially in Eastern Europe, and Ukraine specifically. Taking my Personal Training/ Nutrition/ Exercise Therapy niche online will allow me to reach a much bigger audience all over the world, just like WA. With the cost of living in Kiev about 70% cheaper than in America, I can pass those savings onto my clients and build a massive following. Meeting all the wonderful people here from the 4 corners of the world and learning something new EVERY day is so invigorating and motivational to me. Thank you again and I hope you and yours have a happy, safe holiday season. Oh, see you in Vegas next year! Kyle! Thanks for the clarity and insight! I just learned something about myself! In the world of my full time JOB I am a total service kind of guy with meticulous focus on detail and integrity. If it's not good for everybody, it's not good for anybody. Customer first, company second and then me. Good enough never is. But reading through your blog I realized that for some reason I have always thought of online income as some kind of quick, easy & cheap trap to capture money. Buy the right trap, load it with the right bait and wait for the money to arrive..."BAM! I got you you little rascal!" I did some of the WA training a few years ago and then drifted off to chase some shiny stuff. For all of the time I was away WA was stuck in the back of my mind as "the real deal", but I never really paid any attention to "why". This blog explains EXACTLY why I'm back, starting at the beginning, taking one step at a time: to figure out what I have to give and how I can best serve. Oh yeah, and maybe pick up a couple of nickles. Those who go after the quick buck rather than long term success through quality products and service delivery are ultimately doomed to fail whatever short term successes they may have. Having tried many other programmes, there is nothing out there that match Wealthy Affiliate thanks to yourself, Carson and the unsung heroes of the corporate team behind the scenes. What stands out against the opposition is the lack of hype. True quality attracts it's own following and generates it's own respect and so does not need to be hyped. There is always going to be a certainly level of temptation. What we usually fall into the trap of is going after a short term gain that is easier to gain, in exchange for long term sustainability. I see it all the time with companies making rash decisions that impact their company brand for a temporary boost to their bottom line. It is usually the downfall to any company. Whow Kyle! Firstly congratulations on what you and Carson have achieved with your business, it is phenomenal. I will continue to look at WA's model for my own business' success. It is easy to identify a brand leader in my opinion, it is a business that provides quality solutions over a long period of time. It is a company that continues to innovate and push development forward and improving the quality of people's lives in general. That is our approach to business and I know you are going to love what we have in store moving into 2019 for the platform and community here. If you make your focus offering quality and helping people in your business, the brand and trust will typically follow. What is particularly stand out in regards to this article is what you have not mentioned. I am not talking about how good a site or service is or the products that are promoted. I am talking about the quality of marketing. Quality, high quality marketing is something that helps a brand to shine and yes, win fans as well as sales. Spam yourself and your site to social media groups and people will associate you with being a low quality site - regardless of how brilliant everything else is. This is perhaps one of the reasons I and many other never take seriously those MLM marketers or commission hungry marketers that seem to be forever shooting videos from their cars! Or those spamming away automated messages to a zillion facebook groups. Some may make some money, but the damage to their brand is far greater than any monetary value gained. It like earning $5 but doing $10 damage in brand value and reputation. Well said Derek, spamming the internet is something that I frequently see in particular with companies hiding exactly what they are. Want a car like me or sit by the river and do FB videos like me an earn money, join my list. People get tired of that, and sometimes the brand of the company is totally sheltered from this because they are so secretive. When a brand is sold as a quality service it can have a very positive impact and yes, this definitely is impacted by how people market it. Appreciate your feedback and insights as always! Firstly I would like to say THANK YOU because being here is changing my lifestyle in more ways than one. For years I have been telling anyone that would listen that there is a way to start a successful online business with no money and I would always get drowned out by the laughter. For years I have been searching. In fact I was offered this opportunity back in 2009 and saved it to look at later, which I never did. So you could say that I looked a gift horse in the mouth. lol. I only realised this when I was clearing out my email saved box because I was so confident that I have found what works and then to my surprise I saw the email, I felt a bit gutted at first thinking where I could be now if I had joined back then but oh well everything in its time as they say. In saying all that it gave me the experience to know that there are a lot of companies claiming this, that and the other and really offering nothing but words. So i can truly say with hand on heart that Wealthy Affiliate is the real deal and Carson and yourself are really good people because you care. I am proud to say Wealthy Affiliate and share my experiences here and invite others to share this experience and I have not been able to say this about ANY of the other companies that I have worked with in the past years, none of them. I thank you for showing us what a real successful business looks like by the way that Wealthy Affiliate is operated. Thank you for taking the time to keep us updated on what is going on and making myself at least feel like part of the team. We value you people so much and we see all the efforts you make to support us. But My question: Is my own case different? I have been applying this as you know using all the techniques you teach us but the whole thing is becoming too long to come along. I don't mean to discourage any body because I know some people started making it even within 3months of their starting with WA. Any little more suggestion on how to move on will be welcomed. You have to realize this isn't an instant income earning platform. It takes anything from 3-5 years before you can see significant income if you are relying totally on organic traffic and don't have funds to pour into campaign ads. Everything that is worthwhile take a lot of hard work and effort. I've been with Wealthy Affiliate 5 years now and only just in September did I receive my first commissions for Jaaxy affiliate marketing. Take courage, hang in there and do the hard work, be patient and it will come. Hi, thanks for your word of encouragement. But if you can stay up to five years before your first commission. How were you coping I mean what was the source of your patient or what were you looking onto that drag your faith that far? Try implementing Jay's advice and see how it goes: Giving Old Content a New SEO Life . In the short time that I have been with WA, I've noticed the quality of the training and the slow and steady methodology of helping people build up their own businesses. It is impressive when you see what is happening elsewhere. You have built WA on a very solid foundation, by helping others build their own businesses on a good foundation. Thank you Kyle for a truly honest and caring educational website. I believe that your intentions are focused on helping people and not on the profit line which is evident in the high quality of WA. I thank you for this and hope to be associated with WA for a long time. It is very reassuring to hear that you are maintaining W.A. with the highest standards and principals and not just looking at making a lot more money and leaving those standards/principals behind. I believe this will encourage us all to pursue our goals and dreams here at W.A. even though the going can be very challenging and volume of information available some what overwhelming at times. Thanks for sharing. I consider you and Carson the "Amazon of Affiliate Marketing". Why? Because you appreciate and have embraced the very concept that makes Amazon so successful - you never stop improving / growing / innovating! You are not only aware of who your customers are, (the WA community) but you spend the time necessary to understand that the wants/needs/expectations of those customers will change and evolve over time and to remain relevant and successful, you are willing to evolve and adapt your business to meet those changes. Thank you for creating this amazing platform! The amount spent for this membership and ALL that comes with it is THE BEST investment I've ever made in my life! I think when one does things with ethics and integrity, it shows the notion of realistic expectations and how things will gradually work out for the good. I've been with WA for a while, and I have had lots of challenges offline, hence I've not been able to be as attentive or as proactive to my business. However, whenever I'm in this space, I feel a genuine sense of community, motivation and inspiration. I know what I have with my website is attainable, and I think that being part of the WA family has shown me that. Thanks, Kyle and Carson! Keep delivering a great service. I for one appreciate it, together with your ethics and integrity for your brand. This article is so true. You give us so much valid info and your fees are very reasonable. Best of all, I like the interaction we all have with the members. We are all on the same team, there to help each other. You don't find that in any other program! Ethical leaders propel their people to success. Kyle and Carson are ethical leaders. Therefore, they will propel their people to success. Thank you very much, Kyle and Carson, for this opportunity to learn how to earn online. For me, I had to overcome several challenges with the training and I am still with Wealthy Affiliate. Why? The community spirit and genuine concern for helping people are priceless. Also, this is the real deal and I am happy being part of this community as I grow my business. Success is on the horizon for all of us because of our ethical and innovative leaders, Kyle and Carson. Thank you so much for giving me a platform to share. Only been onboard for a few weeks. I can really attest to the quality and interest from everyone here at the community. This is my 1st experience with affiliate marketing platforms and am grateful to have found WA.It seems there are so many "phony" ones out there only interested in your money. Being remembered that there's a price to be paid in hard work and not trying to hype the promises of instant succes point to the real solid value one can expect from WA. In my opinion, I think that still many people don't recognize the value of WA in total! I say this because, after examining other programs online and after getting access to all the platforms, services, tools, support, etc, they should be able to see the value and a possibility to learn, engage and enhance their online marketing and other online skills and knowledge! I am happy I could finally recognize all this myself as well! Besides, comprehensive up-to-date training and lessons, all explained in a simple way, easy-to-understand even for the newbies. Very praxis-oriented what is what many people are asking for. The same happened to me a few years ago when first came into contact with WA, as you know. This huge online world can blur somebody to recognize the right thing, especially if you are an inexperienced newbie in this world, or in lack of needed specific knowledge!. Although WA is an affiliate brand, I mean it offers also an affiliate program, it is much more than just that! It is great to have such an affiliate and comprehensive program in hand, as WA is. WA is a platform you can stay on it for the whole day and not to be bored or in lack of any kind of knowledge associated with the online world. Anyway, although you know by yourself all I said about, still, I wanted to express my opinion in this way! Having said that, I want to share here one saying. In my country, , and I think in other as well, we have a saying: "It is not easy to fall from horse to a donkey!" In other words, when getting so much stuff for such affordable conditions, It is not easy to be satisfied with less value. Thus, I wish WA to stay at the top of the industry and be able to deliver such a comprehensive, all-around program for many more years to come, what I am sure it will! Your approach to the affiliate marketing niche is one of the main reasons I have stayed with WA for so long. Within the past year, I actually signed up with a business building "mentorship" program, thinking that it would provide me with information and guidance that WA did not. Instead, I found myself feeling like I was just a number, struggling to learn, and when I had a question, there was no one to turn to for help. Sure there were weekly web conferences, but if you were lucky enough to be picked to ask your question, more times than not the reply would be, did you go through X training? If not, do that and come back if you still have questions. And that membership was approximately 3x what I am paying here. With WA, I always know I have support for any questions I may have, and you and Carson have always put everyone here at WA first, by constantly improving the platform with tools that we need to succeed. It is your honestly and customer centered focus that will keep me here for years to come! No truer words spoken Kyle. As I am still at the drawing board researching for a niche and discovering several, I am reminded of experience in the past where enthusiasm overtook common sense. Solidarity in service whether online or physical presence is the one mantra that will ensure success. While there is no perfect key word to build upon (actually there are many as I research) the one key I am searching for is, can I get enthusiastic and believe in the idea or purpose of the site. Thanks for the support. Should have the keywords narrowed to one in the next week. To expect nothing but the best from you guys has become normal to me Kyle. That's just the way it is!!!!. I am just a couple of weeks away from my 1st year as a Premium member and I'm not going anywhere, besides I'm expecting to break into the top 200 before the end of the month and I'm just pumped about it. WA always comes up with the goods. Keep it up, guys!!!!!! Right on the same page. I can't believe I missed the first 12 years. I am in this for the long haul. In fact, I welcome the slow methodical pace, it suits me. You guys and this place are what anyone needs if they want to build a business online. Hi Kyle, thank you for taking the time to write this post. I love the way you are so available to all members. I know you are super busy. But you always respond when we have questions for you or Carson. Thanks for caring about WA to make it the best and caring about us, the members. Great blog - as I was reading the part about Apple always improving their products I was thinking yes but Apple's prices have increased considerably and WA are always improving and their price doesn't change! It made me smile when I reached the part when you said the price hadn't increase in 13 years! You and Carson are doing brilliant work, thank you for everything you do. This platform is second to none there is nothing to compare. All the other platforms I have experienced put training together and never update, the result the training is useless and out of date. Well said Alan, I have only been here 2 months. I have tried a few other platforms. I can honestly say this it the most user friendly and the resources are vast. Kyle what you and Carson have achieved is admirable and strengthens my resolve to do better, which I will in the months ahead. I’m still wet behind the ears, a fresh newbie, so to speak with anything other than respect for what you have would not say enough. I will eventually pick up my pace because I intend to follow your WA family ways. God Bless you in all that you do. Thank you for all that you provide to help succeed in this ever changing world and space. This post and comments gives me perspective on the course i have entered and people, and community in WA. Thank you. The situations where business leaders just push and push for profit and go over the top with their people and team to reach targets is so common in corporate world (been there seen that even done that). Whereas leaders who inspire and lead teams and people by example, and create environment of trust, i think those teams work as hard as possible, as disciplend as possible, have fun and in long run outperform fear driven teams. Having a long term perspective and ability to execute it, is a sign of inteligence and innate harmony. Thank you for sharing your perspective Kyle. Glad to be here and learn. We all have a finite amount of time to build a business and going from gig to gig to gig seems to me a waste of money-making time! I sincerely hope she does return, but I will not waste any time thinking about it. Great post and great encouragement!! Congratulations for you and Carson! WA is an excellent platform. I finished my training few days ago and I'm gratifiul with the detailed way in which I learned the step by step. Perfect. I am so happy to belong to e-family WA. Excellent services created and developed by you and Carson. They say you win some, you lose some and that you can't please everyone. I am certain though, that for every 100 people who come through your doors (so to speak) 99% of us are very appreciative of all you Carson, your team and those members who take the time to share and train us, do. Thanks for sharing your wisdom and philosophy on the WA business and what we can expect going forward. who go out of their way to help each other achieve success. I have never seen or heard of an organization that offers as much as WA for so little investment. You have changed so many lives, mine included, and I will be forever grateful. I guess that the natural tendency is to be at times focused on what competitors are doing and at times we can tend to lose sight of what our goals are. The trouble with that process is that we can become a follower instead of working towards creating our own space that is focused on our customers and potential customers. The concept of competing with ourselves can be what drives us on to achieve and create more and in turn, folks may come along for the ride, in a way we are all driving each other on to new heights. A never-ending cycle, which can be good all around, thank you for the food for thought Kyle. I am totally amazed by the platform and how you guys just keep on continually upgrading and innovating everything, the thing that I am finding is that when things go quite the expectation is that something new is on the horizon and you kind of start building an expectation, also it kind of spurs me on to expect and do more myself if that makes sense, I know what I am trying to say it may not come across that well. As we say in this neck of the woods keep it coming chaps. I have been with WA a year ago, and I really love it, I have learned so much, and still learning new skills every day, in my opinion, WA has a great learning process and has so much to offer to anyone who wants to build an online business. Thank you to Kyle, and Carson. I found WA one afternoon last month just on a whim. I’m back in school and working less and was curious to see what kind of online jobs may be available. I was not looking for anything specific and was pretty disappointed in the choices. Affillate marketing was not even on my radar. It took me less then 30 min. once I stumbled on this sight before I joined. It was an absolute no brainer for me. It’s been less then 4 weeks and I couldn’t be more happy with the well thought out training down to the community atmosphere. It’s an amazing platform and I’m thrilled I stumbled upon it. Thank you for ALL the hard work your all put into this community daily, it’s a gem!! This company is a treasure, and so are it's founders. You are providing a safe, secure place for people from all walks of life to improve their lives and those of their families. Reading your business philosophy in this post is compelling. I think you've just convinced me to take a good look at Bootcamp once I complete my Entrepreneur program. How can one not want to represent a company with such exemplary ideals? Many thanks! Nice one Kyle. One of the things I have learned over the years of competitive life is you are never as hungry at the top as you were coming up. Since joining Wealthy Affiliate (WA), I consider it the Cadillac of the business and I wondered how you could maintain that position. You answered it in this blog. It is a state of mind and your character (Kyle and Carson). It is easy to go for the money, which to me is the short term view. Building something of quality and constantly improiving while keeping costs reasonable will always out pace the quick buck chasers. I have been a Blackberry user for years for the same reasons, plus it is a Canadian company. Do not get me wrong I love Apple, but Blackberry has provided consistency and a quality product. Thank you Kyle for all that you Carson have done, this is truly an amazing business that you have brought to so many people. The service is incredible, all the training that is given is incredible. Never in my wildest dreams did I expect to stumble upon such a truly inspiring service as you and Carson have brought forth. I look forward to spending many years to come broadening my horizons here at WA. Thanks. So, I see big things in your future here at Wealthy Affiliate young man. Lol, seriously though, thank you for the time commitment and the amount of effort that you put forth. this post is a welcome addition to the many you have already done. From the deepest part of my heart, I thank you, Kyle, so much. We will be around for a long time and I look forward to learning more from you. Thank you for the gift of Wealthy Affiliate and this wonderful community. I think Kyle that you hit the nail right on the head in this blog when you said "The reason is we are not a hype driven business, we are service focused business." In the few months I have been a member here that has become more and more evident, and appreciated by yours truly, and I am sure many others here in WA. This post really shows me the commitment you and Carson have in wanting to help as many as you can to be successful! In other companies updates mean price increases! Not here.I have never been a part of company online that has this much integrity! WA is designed so that if you want to work and you are dedicated you will be successful! No hype ,no bell ringing ,no false promises. Thanks for the platform and expression of caring that you have for us Kyle and Carson! Kyle, I do not want to sound like a consummate complementator. I look detached. And each time I am convinced of the honesty of the conversation, the reasonableness of the system and the reasonableness of its improvements. My example today is the platform of the site’s comments, I set the standby button for +7 days and after 0.5 hours I received 5 comments. Kyle,. Can you please explain to me how to set up my website, I am totally lost I have went back and watched the video at least 20 times and read how to do it the same amount of times, and I still don't understand it. Can you please help me? As I navigate through the training and develop my first website, it is good to know that WA has my back and it is good to know that I am using up to date software that will eventually make my website zing and one day start earning me some money. Stay with us Kyle and Carson. You are so true Kyle, I do preach that philosophy. My son-in-law approached me and wondered why am I giving out secrets before I ask them for their money. I told him, I don't care if they learn my secrets but I do want them to get excited with what I offer. I said to Austin, that I am building trust. See, it is one thing to show "how" but it's another thing that they will continue. Why? Because it takes discipline to do what I know and that is what I sell. To be skilled in anything, one needs to do it with a passion. My passion is what draws people to me. I told him money will come before my service to the customer has "value." Where is the value you might ask? It's my integrity, etc. You post resonates with me and I thank you for that. You have much to share with this world Kyle! Sorry it's me and my service that comes first and foremost. Money follows, but not after I can feel empathy for my customers/clients whatever you call it. One thing is for sure, offer more and more will come. I know it and I live it. I have always enjoyed reading your posts. Am glad you have not raised your prices. I believe if you did it would undercut a large number of people who do not have a large budget to fulfill their dreams in an excellent program such as this. I am glad you have provided this unique opportunity to so many people throughout the world! Have a nice weekend Kyle! While I've only been here for a few weeks what I've appreciated most is just how visible and active you are Kyle. I'm sure many providers are very active in the sign up stage and then you never hear from them again. WA feels very different and very genuine and I'm happy to have found it. Thank you for this post. It is just what I needed at this time. One of the many things that drew me to WA was the kindness and integrity you and Carson promote. Even now when someone is not as kind as you I remind myself that WA is built on a pay it forward platform and it is up to me to carry this on. This thought keeps me going day in and day out. I love helping people and I love WA. I was lost in a sea of confusion before I found WA. Your training and everyone else's has carried me to shore. I shall hold myself to high standards and never give up and your post only helps to solidify this thought. Again thank you for setting the bar high. Thank you. Always good to hear the thoughts behind the process here at WA. And thanks for the motivation to continue reaching and improving on my personal brand. I can see where I will be returning to this on a regular basis for a little inspiration. Feedback is simple. In my short time here at WA, I have found the complete package. Training, motivation, challanges and more all located in a state of the art platform that grows and improves each month. No others have impressed me more as hands on leaders than (just for simplicity's sake) than you, Carson and Jay. The other top members here are also impressive. Keep on building the WA brand...please! When I 1st joined WA, one of the things that stood out for me was your Business Integrity and to me, this was the winning reason for my premium membership which is also unbelievable in price and what is offered. Whenever I write content on my websites about Wealthy Affiliate, it feels so easy to write from my heart about everything related to this platform. There are many great leaders in our world and both of you are up there among the greatest. Great leaders - True Leaders always put the people first and you 2 are remarkable young men and I am looking forward to shaking your hands one day and thanking you in person for all you do every day here in Wealthy Affiliate. Thanks, Kyle, for everything you and Carson are doing for us. I feel so blessed to be "accepted" here. More grease to your elbow. By the way, Kyle, this post as well as the previous one, the one about the court case were never sent to my email box. I only happen on them by chance, and I hate to miss posts by you. I wonder what could be the matter. Having only been here a short time, my progress is in that steady mode along with other things on my plate, yet I have seen so much more than when I kicked the tires several years ago and did not get into the vehicle. I have tried not to kick myself over that! :) Having seen so many things in the internet world, I know I am at the right place with the right program and support to succeed. So tired of the hype online, and makes me appreciate WA honesty and sincere focus on people and service. Looking forward to the future as others are stating here also. Kyle, I so agree. A double edged sword, as you said, quality builds high expectations, which we must now, not only meet, but exceed; and at the same time a good reputation is its own reward. Mine and my husband's business motto since 1986 has been "All in Excellence". Quality or excellence does not necessarily mean expensive either-- Well done: Wealthy Affiliate is a quality product and provides an excellent experience. I feel WA has offered me an opportunity like no other! Carson providing this to me! My gratitude is beyond expression in words, thank you! I totally love this place. Every single day I learn something new. I often look back and think wow. I get all this for $49 a month or less than that because I pay yearly. Carson and yourself Kyle always have something super cool up your sleeves. Like the new UX and site-comments 2.0 and even then you have never upped your prices. Infact you have given members the extra chance of earning credits to help them pay for their memberships etc with the new site-comments 2.0. How awesome is that! I hope to achieve in the future a good and kind and helpful business in all my websites. To be run on some good ethics. To be honest thats not hard to do because I have great teachers. My sites will continue to add new strategy's or ways because of this platform. Wealthy Affiliate is constantly evolving and staying ahead of every where else. W.A. is always updating and rolling out new strategies or new training. There is no other place this brilliant on the internet. As a beginner back in 2016 I knew that all the training I needed was all in one place. I didn't need anything else I have everything I ever need right here. You guys are Super Clever, Super Kind and Super Inspirational. Because you hold yourselves to such a high standard, we hold ourselves equally so. We are so impressed with what you have created here and this is why we are so committed to WA. We expect so much from you and we want you to expect the same from us. Both Yourself and Carson are what I would call Master Painters. You both started off as beginners and with each brush stroke over the years you have created masterpieces. Sure not all your paintings were masterpieces but over time and with patience and perseverance you both have created original masterpieces. We wouldn't be anything without folks like yourself and the community here, and we absolutely get and respect that. Our focus moving forward is going to be for YOU and what makes your life easier and more efficient as an internet entrepreneur. My biggest flaw is I'm very honest. I can't live with myself if I try to sell someone on junk. I have to truly believe in a product before I ask anyone else to buy it. Wealthy Affiliate is by far the best platform I have found for learning how to build an online business (Real Home Business) and it offers all the tools you need to do that at a very affordable price. After nine years I am still finding things here that I didn't know about. That says a lot about a company and its service. I have seen great changes in the platform and I have a wish list for the future if your interested, I would love to send it to you. 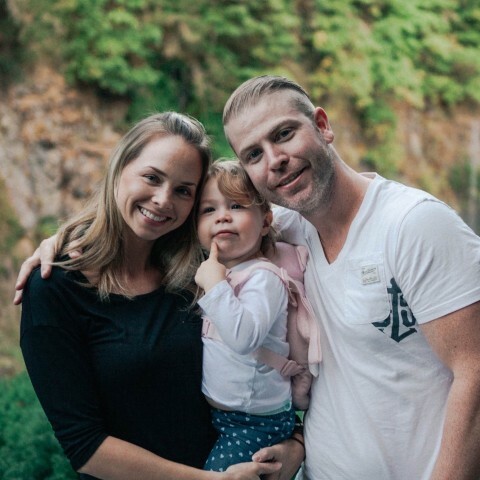 Kyle you and Carson have done a tremendous job making this a user friendly platform and community that can help each other to build a Real Home Businesses. It is proven by the success stories we see almost daily. There certainly is a lot going on here and a lot offered (much of which takes time to discover), but perhaps that is something that we can work to improve upon. Discovery of new platforms, training and conversations within WA. See it is that sort of feedback that helps us constantly improve. We have a great pulse on what people want because we interact directly with 1,000's of members every week and see what they like, they don't, and what is "so so". That gives us fuel to improve! In agreement with you Kyle, the key is to offer an excellent service especially with the step of the years. Keeping it will not be easy. I would like very much that the two training courses we have here, some parts need to be updated. Not so much for us but for the new ones that enter. Everything on the internet is constantly updated. These updates should be better than the previous one for whom? For us the users. That all the processes are simpler. Gutenberg is a good example I love working with him and I can achieve a better view, color, images, text, than with the previous editor. It is a contribution that I wanted to provide. You cannot protect an industry lead by being the best now, you have to do it by creating a better tomorrow. That is what our focus is and we have many projects going on behind the scenes at any given time that we have been working actively on for a year+. And yes, Wordpress is progressive too with their platform which is why they have retained their industry lead and why we love the platform (most of the time) so much and leverage it here. This is a great platform and the positives are too many to mention here! You certainly have walked your talk and have earned respect among your customers as well as your competitors. I know you will keep up the good work. Thank you for the quality, service and price WA provides us. Great job! Expect us to continue walking the walk. We are nearing our plans for 2020 already as we already have a busy schedule of releases right through 2019! Thanks to you Both, I am so glad that you have created this platform and keep this service available and affordable for everyone, even when you are living in a low-paying country, it's even possible to earn your membership fee right here at WA. I have a mighty respect for you and how you run your business. It definitely is. You are going to see a lot of focus on the internal economy here at Wealthy Affiliate moving through 2019. The fact of the matter is there are a lot of business owners here that have money, but not time. There are people with time (and a lot of great kills), but not an active business quite yet. We are going to be working to bridge those two things. That and a whole lot other things, it is going to be a business winter spring here within WA! Appreciate you sharing. I haven't read your post yet, but I do plan or reading it tomorrow. Thanks Kyle. Continue to set the example. We certainly plan on it Jared. We will always lead by example and aim to improve. We know we are not perfect, and we do make lots of mistakes, but that is part of growing as a brand and a business. Keeping transparent and allowing everyone here within the community to grow along side is something that we will continue doing. Good services is expected of us but increase in fees must be friendly to all from rich to poor. Absolutely the case. We have no intention in increasing our premium membership, but we do have a lot of intention to continue to advance our services here. That will make everybody happy, Kyle, Master Teacher. Horrifically unbeatable, I love that. They actually are beatable, by us and we plan on continue to beat our own service with a better service. I can tell you that we have some really amazing stuff coming as we move through the winter months and right through 2019. You Fulla's bro.....<kiwi talk:). Are creating REVELATION Kyle. Thanks for the kind words Robert. The #1 reason I see people fail, and that I have seen myself personally fail in business is lack of focus. People have the tendency to either want to do too much, or the get business ADHD and try to take on too much at once and work on too many projects at once. Great perspective Kyle. I completely agree with your take on this... if people aren't expecting more of you, then you're probably underdelivering and they don't expect much of you at the best of times! Yeah, it goes against conventional thought. There is a difference between wanting more, and people being disappointed in your service. If people continue to expect you to innovate and evolve, that is certainly a good thing. If people are unhappy with your service, that is underdelivering.